Complete these linked challenges to earn rewards! [SenSGM] GDL Griffster Merry Christmas and a Happy New Years warriors. Be safe. Seasons Greetings MechWarriors: 7 days Premium Time. 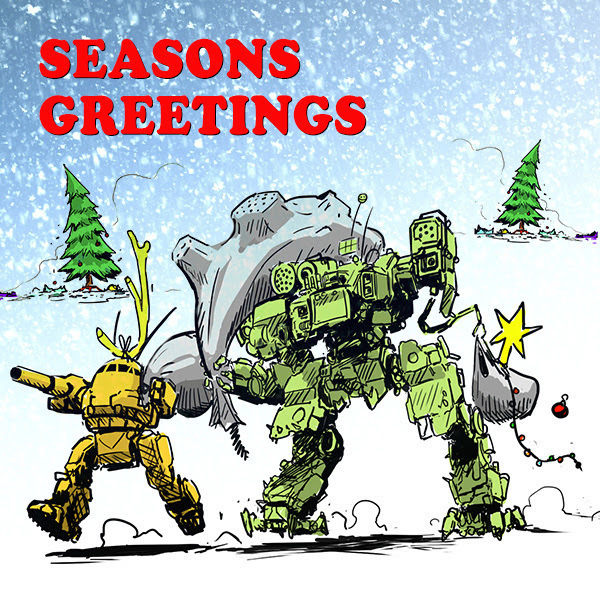 Seasons Greetings MechWarriors, good tidings we bring! Use the redeem code below for 7 days Premium Time. Click here to redeem Gift Code. Our TeamSpeak subscription will be coming due on 01.04.19. We have $145.00 banked in credit from donations in 2018. The annual subscription cost is $254.49. That leaves us with a shortfall of $109.49. [ARCN] Arturus Steiner a Thanks everyone! We now have $375.00 banked which leaves us plenty for 2019 and a bit more banked for 2020. Nice work! [LT1] Black Caiman Well we are covered for now. Account balance is -$325.00. Nice job everyone! This is the Lineup - these mechs will be on sale today. There may be errors ... there may be additions. I will check in regularly. Oh yeah, and Mech bays will be 50% off too! 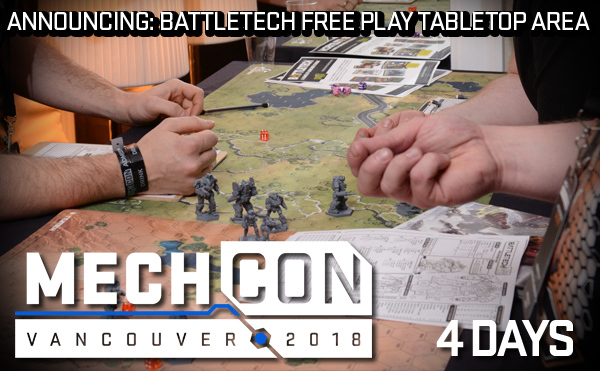 this year at Mechcon Tabletop free play zones have been designated for daring pilots to hone their skills in Solaris style free for all action. Attendees are welcomed to bring their own mech and record sheets from the cutting edge future of the 3060s era! Of course, we will also have mechs on standby for those dispossessed mercenaries out there to drop into the action. Look for it in the Mech Con Dining Area. 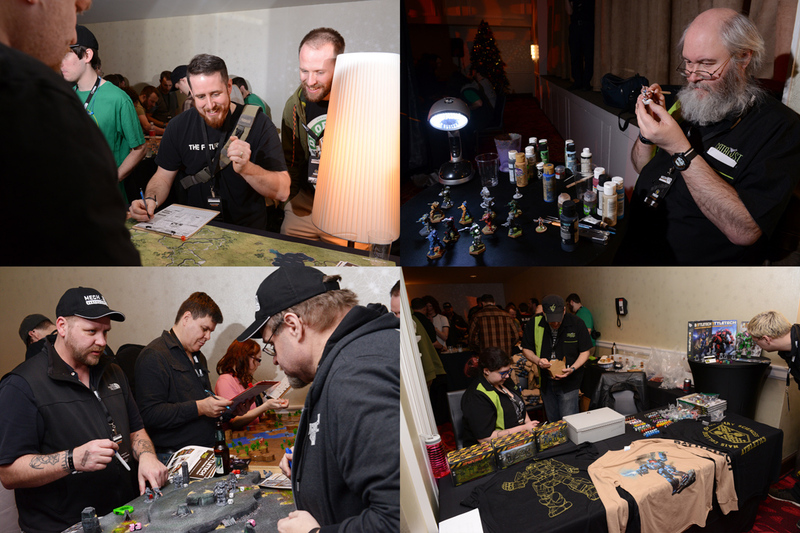 Here are a few Photos from last years CGL Booth. Look for an in-game sale on Standard and Hero Variants of select Reward Chassis!